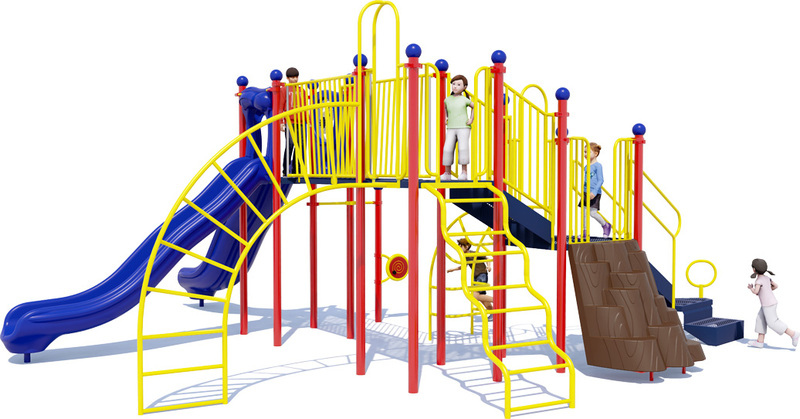 The Autumn Breeze commercial playground structures offers some of our most popular climbers and fitness activities rolled into a compact playground design. It's enough to entertain as many as 50 children aged 5 to 12 years. Children cant resist the Tree Stump Climber which offers rich coloration, texture and a climbing experience that is different from typical playground equipment. The Loop Arch Climber and the Climbing Arc provide alternative routes to the top for all-star climbers! 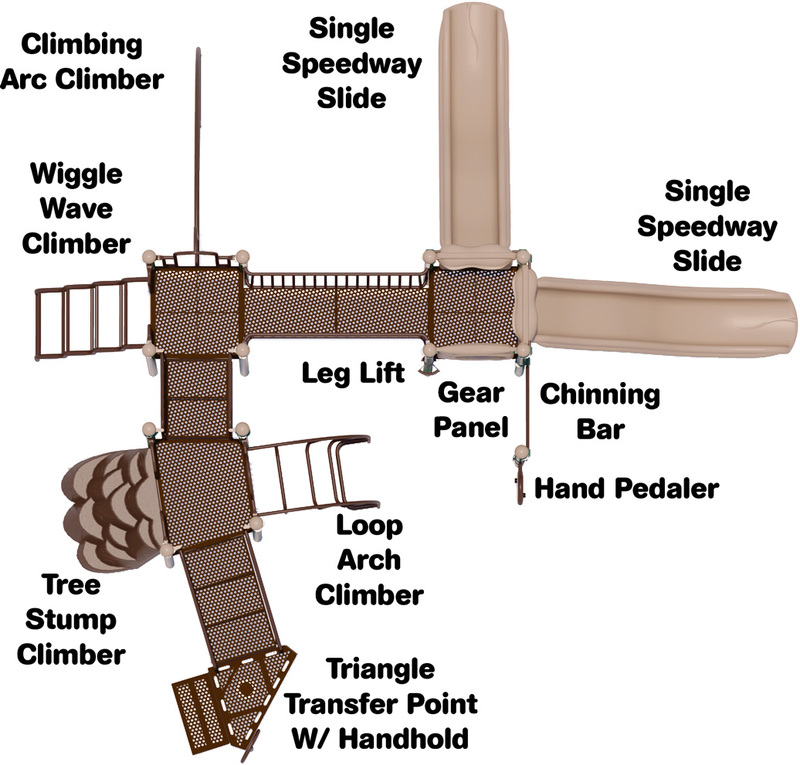 Two Single Speedway Slides offer the fast, exhilarating trip kids want to the bottom of the playground structure. A Wiggle Wave Climber for a visually engaging and challenging climb to the top! 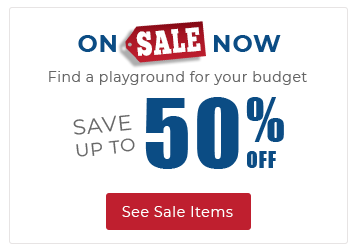 American Parks Company is a recognized leader in quality commercial playground equipment for schools, churches, daycare facilities, apartment communities, and other organizations. We also provide convenient playground bundles including surfacing, shipment and installation to help you quickly source your complete playground needs. 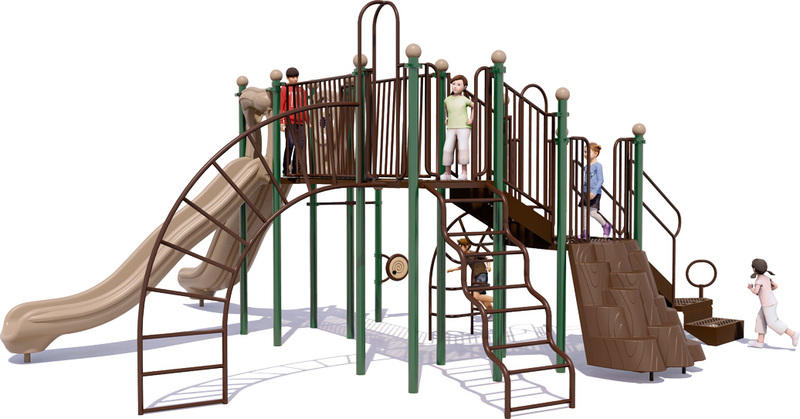 2 Slides, 1 Tree Stump Climber, 1 Wiggle Climber, And More!